The St. Johns County School District will inspire good character and a passion for lifelong learning in all students, creating educated and caring contributors to the world. 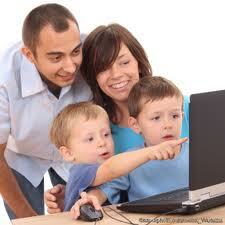 Welcome to the St. Johns County District Home Education Website. This website is designed to provide parents and guardians with the procedures necessary to successfully home educate their child in St. Johns County. 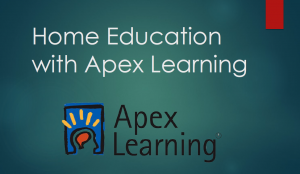 Please review the legal responsibilities and obligations carefully prior to enrolling your child into home education. 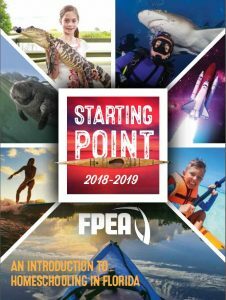 I also suggest that you review the information provided by the Office of Independent Education and Parental Choice Website and Florida Department of Education information for Home Education. I hope that you will find the information useful as you determine if home education is the best option for your child. Best wishes for a successful home education experience. 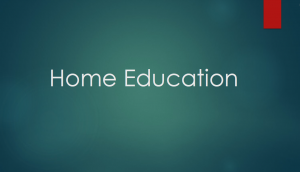 To learn more about Home Education click here! How do I prepare for a Portfolio Evaluation?